Half square triangles are one of the standard units for patchwork piecing. 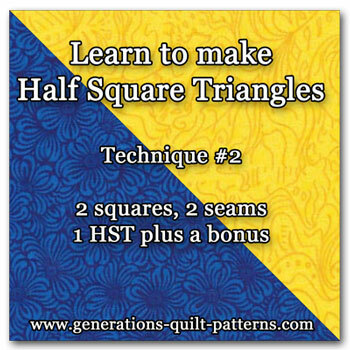 Quilting books also refer to them as a triangle squares or abbreviate it as 'HST'. This unit is a square made from two equal right triangles. The diagonal seam through the middle is on the bias while the outside edges are all of the straight of grain for stability. 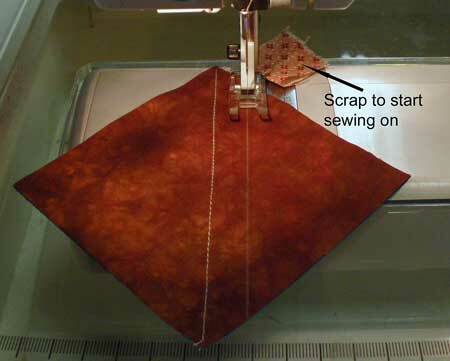 For this technique, you'll sew two squares together with one seam and create a single triangle square unit. 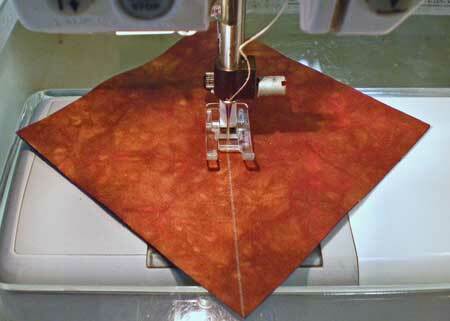 Cut two squares equal to the finished size plus 1/2" for seam allowances. In this example, we want a 3-1/2" finished HST unit, so we cut two squares 3-1/2" plus 1/2" or 4" x 4". Mark a diagonal line from corner to corner on the back of the lightest square. This line need only be as dark as you need to see it. Take care not to 'pull' on the bias with your pencil. (I've used the Bohin Mechanical Chalk pencil in white in the picture below. This chalk pencil is my first choice for a marking tool because it produces a consistently fine line. Layer the two patches right sides together, aligning all the edges. Stitch on the line from corner to corner. 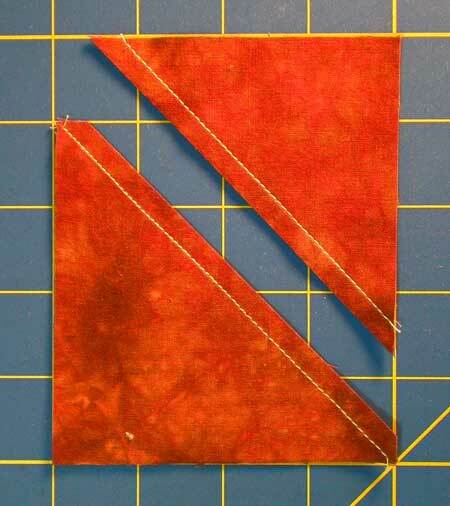 If you're a scrap quilter, then stitch a parallel line, 1/2" from the first. This creates the 'bonus' triangle with enough fabric for seam allowances for both units. It also helps to starch your quilt fabric before stitching. Cut the sewn squares in two between the stitching lines. 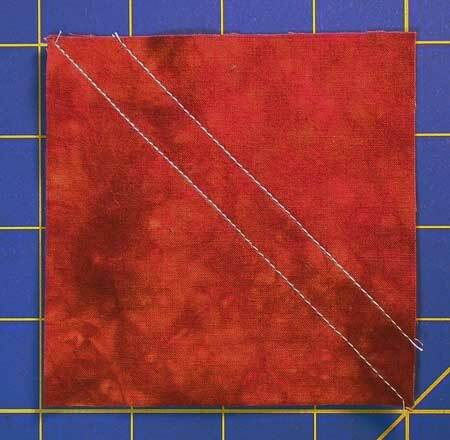 If you chose not to create a bonus unit, then trim away the excess fabric 1/4" from the stitching line on one side. Finger press along the seam line to minimize the chance of a tuck forming. Press flat with your iron and trim off the dog ears. The dog ears have been trimmed from the larger triangle square (below, left), but not from the smaller, bonus unit (below, right). 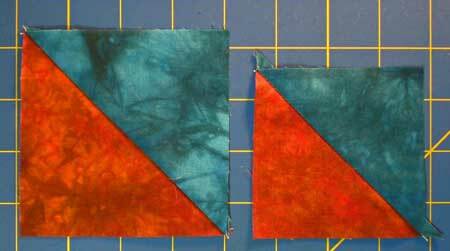 The final triangle unit is 4" unfinished (the same size as the cut squares because you stitched down the center diagonal) or 3-1/2" finished. The bonus unit is approximately 3-1/4". Admittedly, at some point, the bonus triangles just get too small. But with larger half square triangles, you end up with a nice bonus unit with little extra work. Keep them neatly stored and trim just before using in your next scrap quilt. 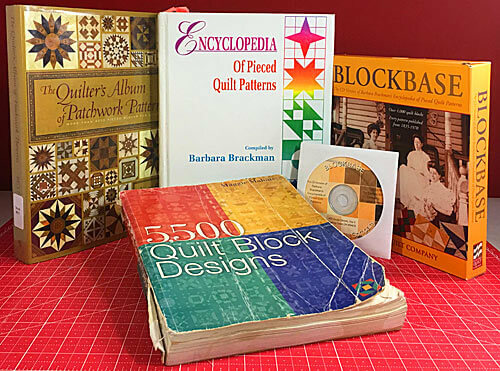 Now that you've got two different methods for making HST's, check out our Free Quilt Block Patterns library and put your skills to good use!